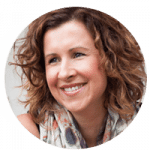 Kate is the author of bestselling books Believe in Yourself & Do What You Love, Be Mindful & Simplify Your Life and Change How You Think & Be Happier Now. To date over 120,000 copies have been sold. In 2017, two of Kate’s books were on the top ten bestseller’s list for personal development titles. Purchase copies at your local independent book seller. Kate James shares 50 tips on how to build self-belief and live a more fulfilling life. Kate James shares 50 tips on how to live a more mindful and stress-free life. Kate James shares 50 tips on how to change your relationship with happiness.